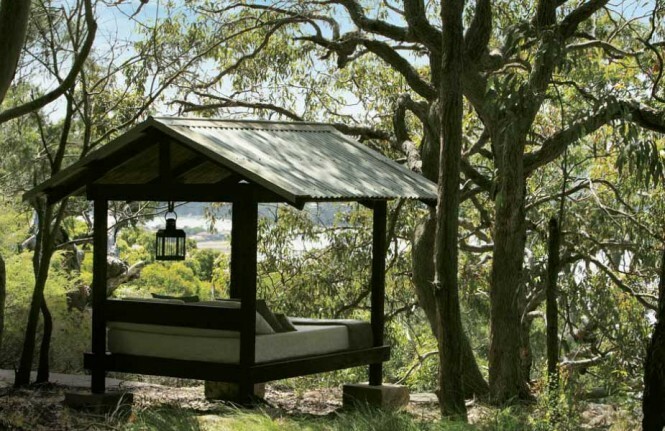 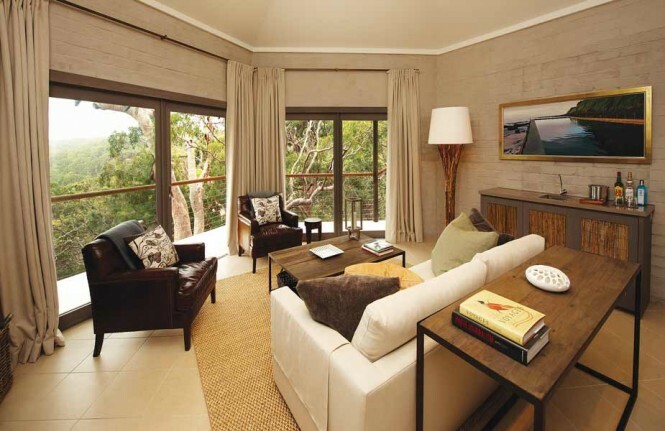 We were wowed by this exclusive, pretty beach-side guesthouse in Sydney, Australia, a luxury accomodation located on the Bouddi Peninsula. 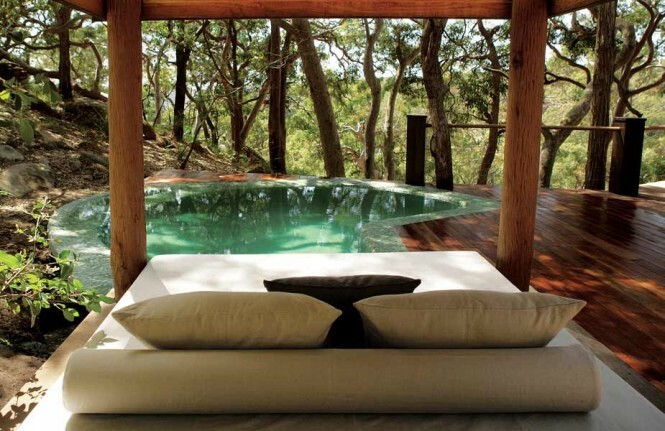 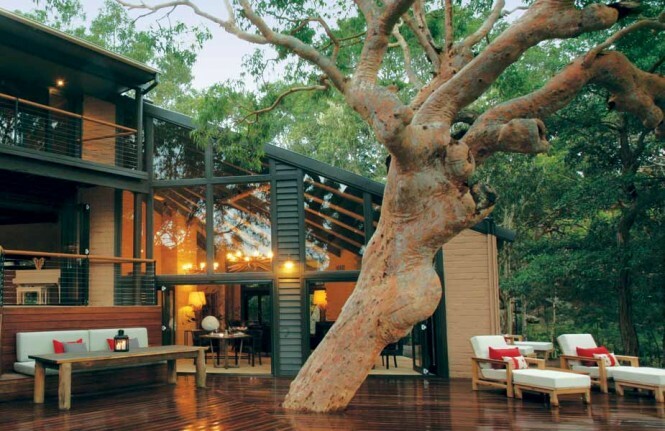 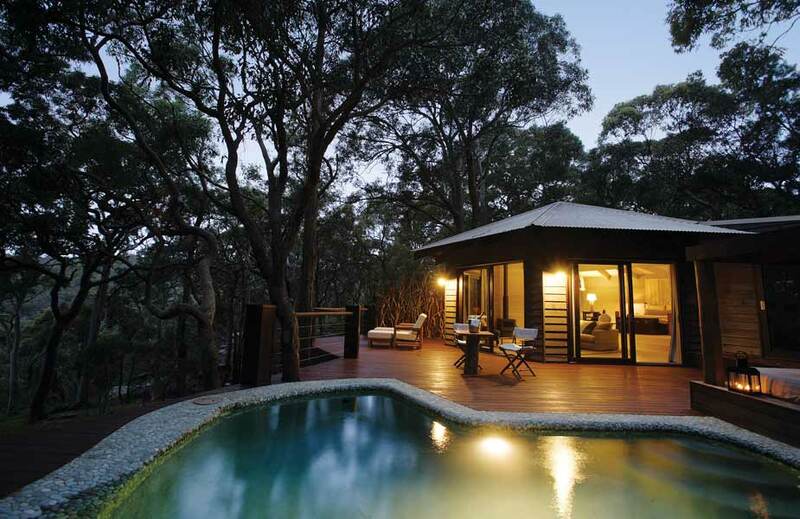 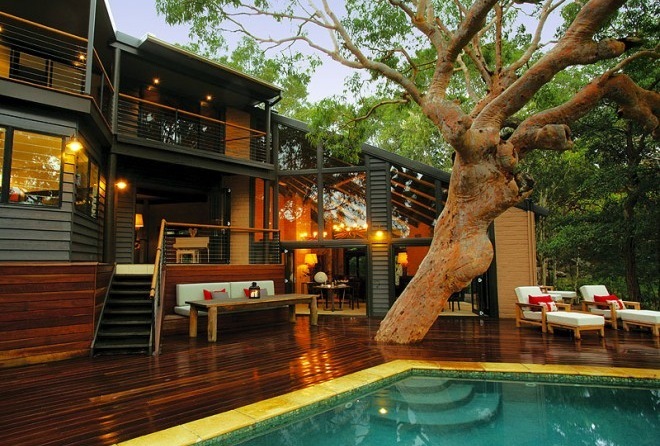 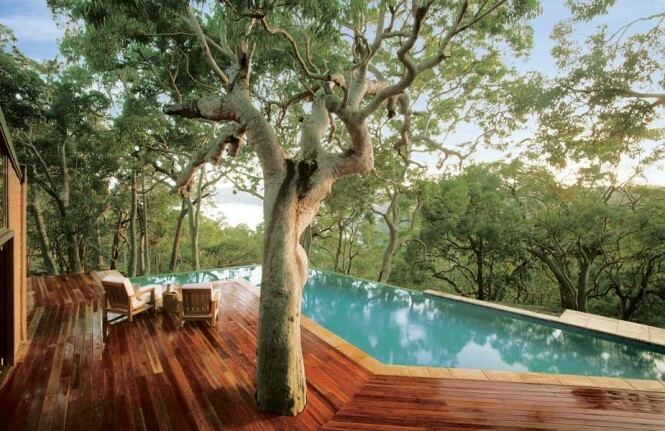 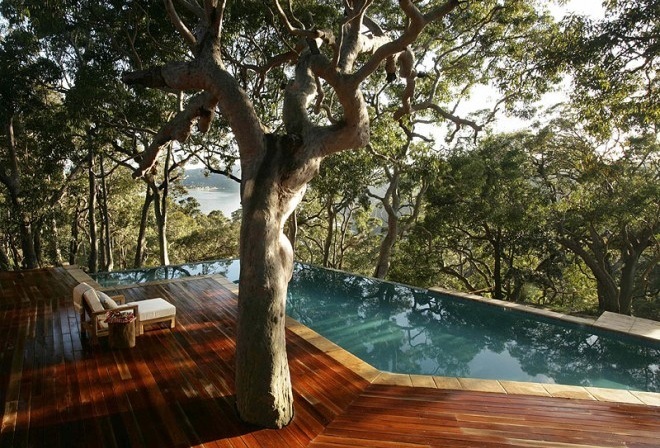 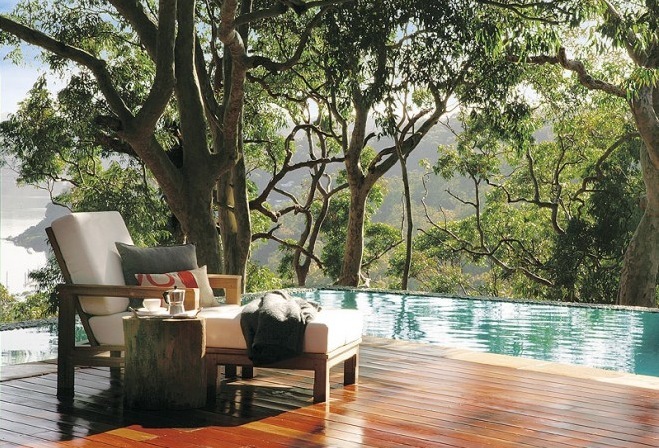 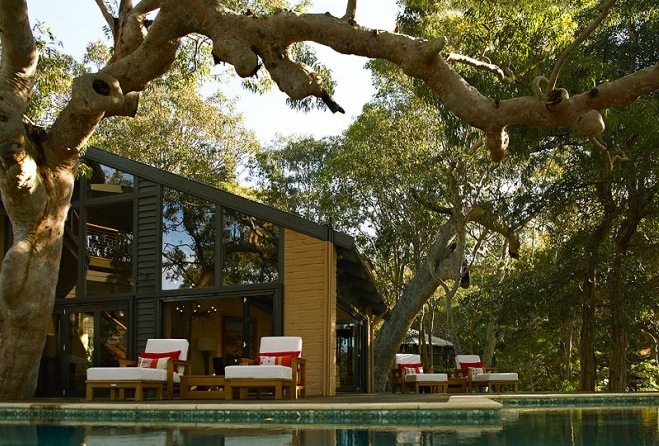 Its stunning pool and deck, accented by a natural tree practically growing out through the middle, is gorgeous. 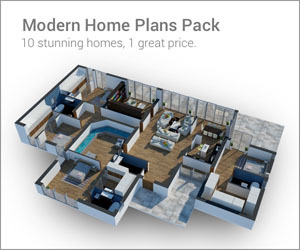 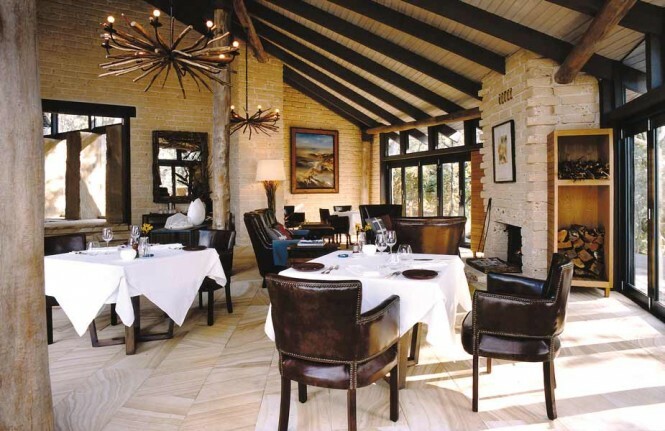 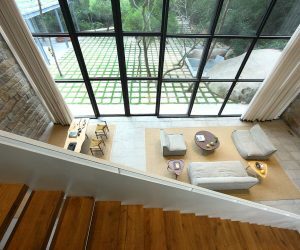 The natural beauty of the surrounding forestry add more rustic flare to the feel of the house and the interiors are luxuriously designed with tiles, stone, and light-colored wood. 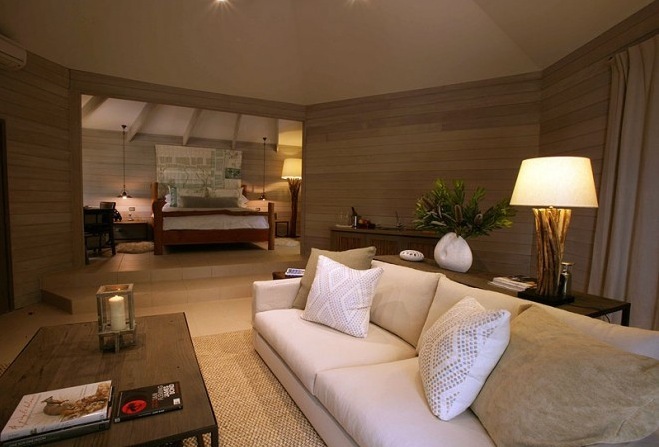 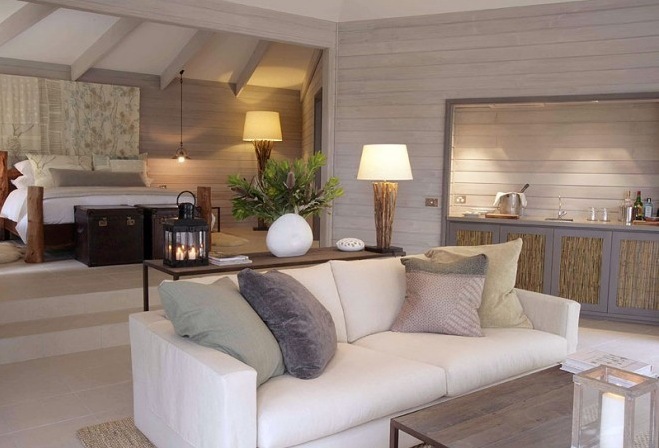 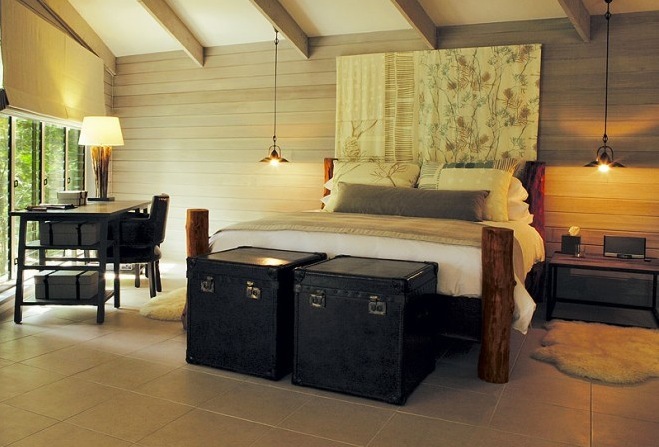 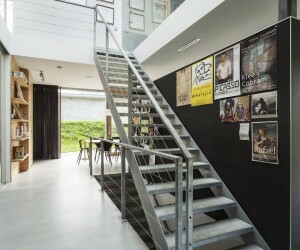 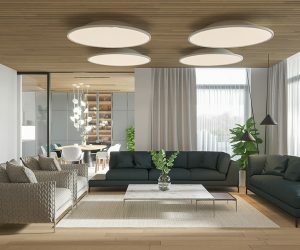 The colors of the interior are muted and natural, with wood used even in the lamps.